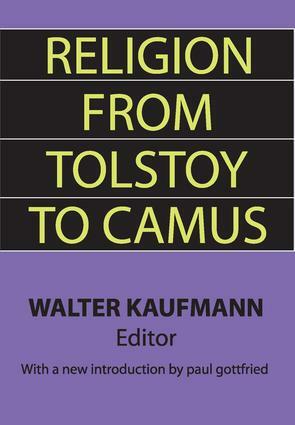 Walter Kaufmann devoted his life to exploring the religious implications of literary and philosophical texts. Deeply skeptical about the human and moral benets of modern secularism, he also criticized the quest for certainty pursued through dogma. Kaufmann saw a risk of loss of authenticity in what he described as unjustied retreats into the past. This is a compilation of signicant texts on religious thought that he selected and introduced.